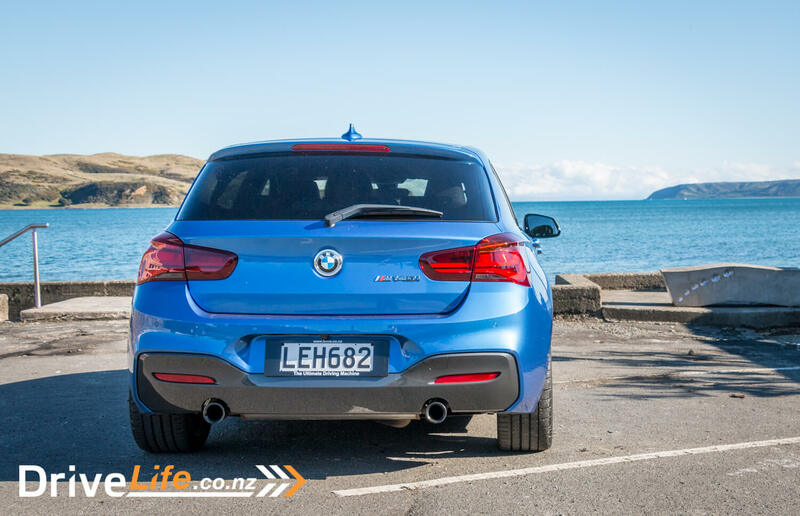 2018 BMW M140i – Car Review – Pocket Rocket? A while ago I tested the BMW 125i and liked it a lot. I remember there being plenty of power to have a lot of fun. But of course you can’t have too much horsepower, can you? 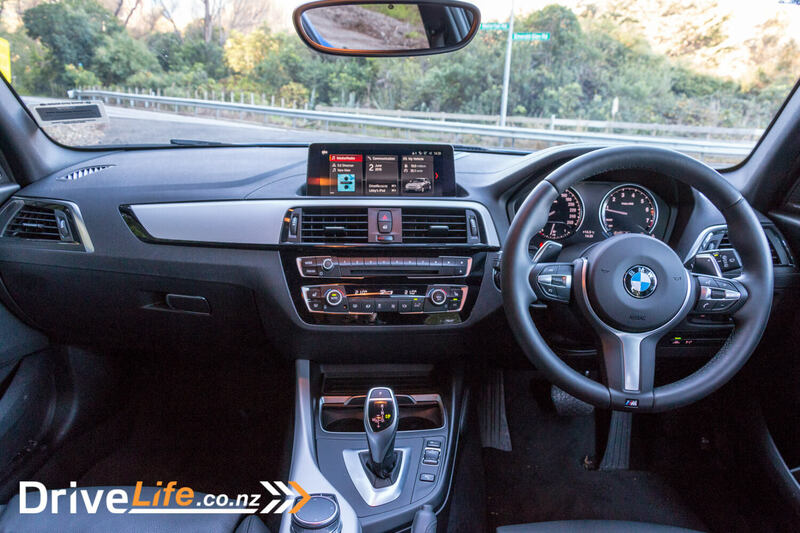 BMW sent us the range topping M140i so we could find out. 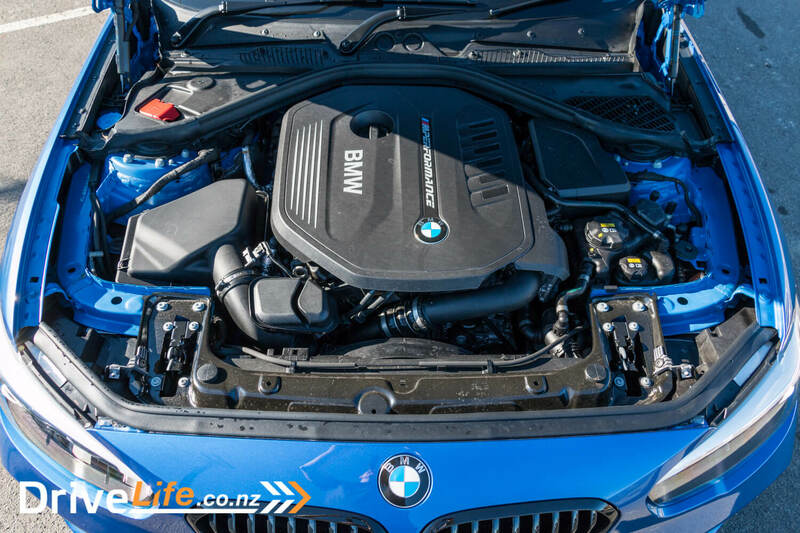 There are three options in the 1 Series range, starting with the $47,200 115i with BMW’s excellent 1.5 litre 3-cylinder turbo engine making 100kW and 220Nm, 8-speed Steptronic transmission 16″ wheels, cruise control, satnav, Park Distance Control, rain sensor, and rear view camera. 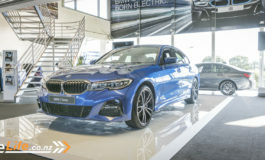 Next there’s the $59,700 125i with a 2.0 litre four-cylinder turbo making 165kW/310Nm, 8-speed Steptronic sport transmission, 18” wheels, 2 zone climate, auto dimming mirrors, LED fog lights, LED headlights, and heated front sport seats. 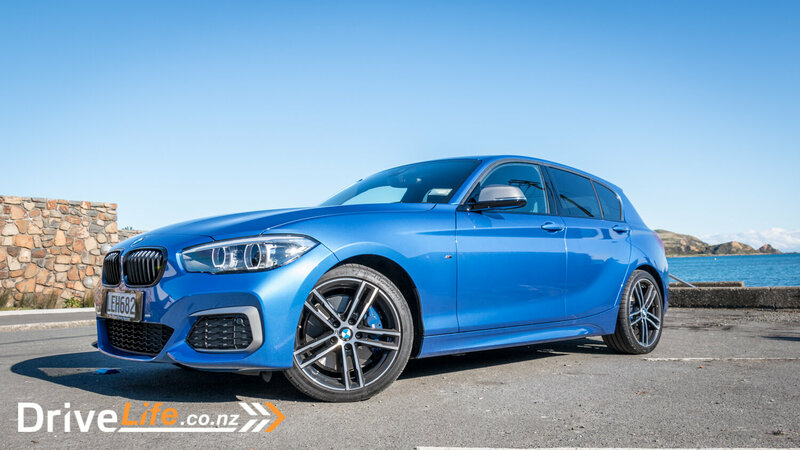 Finally we have the $82,000 M140i, with a 3.0-litre turbocharged inline six which produces a rather fruity 250kW and 500Nm of torque. This adds 18” M wheels, anthracite headliner, auto dim exterior mirrors, leather ‘Dakota’ upholstery, M aerodynamics package, M Sport brakes, M Sport suspension, sun protection glazing, and variable sport steering. Our test car was a special edition called the Shadow Edition, which adds almost $8,000 of options including adaptive LED headlights, Driving Assistant, Harman Kardon speakers, lights package, navigation system professional, front parking sensors, speed limit info, and black kidney grilles and headlight trim inserts. BMW’s accountants seem to have made a small error though as this edition costs $69,900. Yep $8k of extras for $12k less. Colours available include two whites, black, grey, red, orange and blue. Our review car came in metallic Estoril Blue, which I think looks great on the M140i. The Shadow Edition touches, unique wheel design and black trims make it look even better. The 1-series is generally a good looking car, but I think it does look a bit awkward from certain angles. 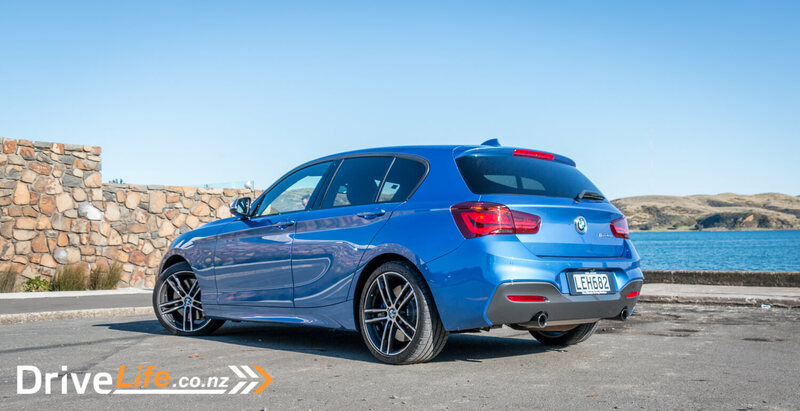 For a sporty model, the M140i is pretty subtle, it doesn’t have the fat arches and sporty looks of a true M model like the M2. I’m in two minds about that. On the one hand it would be nice if it looked a bit more muscular, but on the other hand I like a bit of a sleeper. 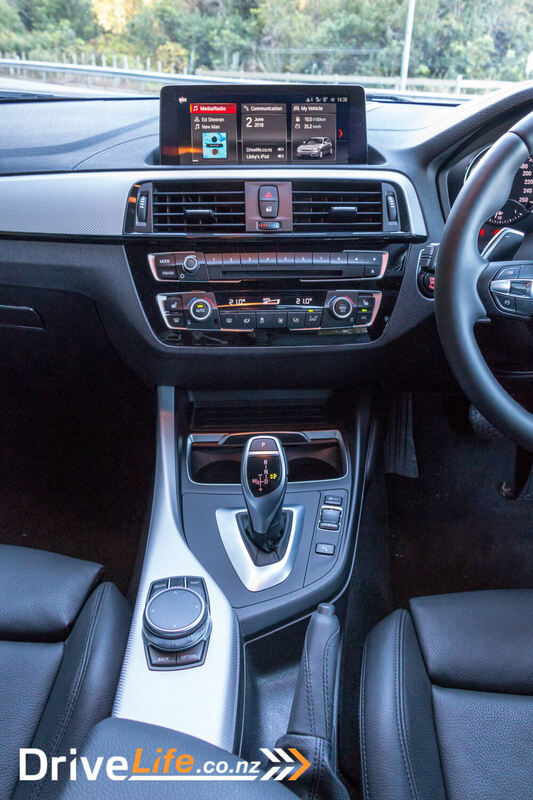 Inside, the M140i is classic BMW, with a pretty simple dash layout, trimmed in patterned aluminium. There’s the usual BMW central wide screen, set up high and sticking out of the dash. It looks good though and not as tacked-on as some manufacturers’ designs. It is a touch-screen but it’s quite a long way from the driver, so it’s more comfortable to use the central iDrive knob to control it. This is well designed and easy to use after a short period of familiarisation. 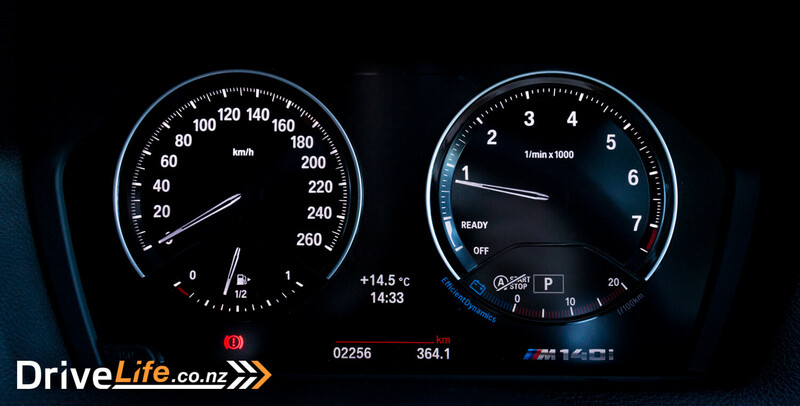 The instruments are the familiar twin dials for speedo and rev counter, analogue with digital gauge sections inset at the bottom. They may look simple, but they are very clear, and give you all the information you need. The interior is good quality and feels solid, and has the usual real metal trims and highlights, but seems more plasticky than I expected from a BMW. That’s not to say it feels cheap but I guess some compromises have to be made in the entry-level range. 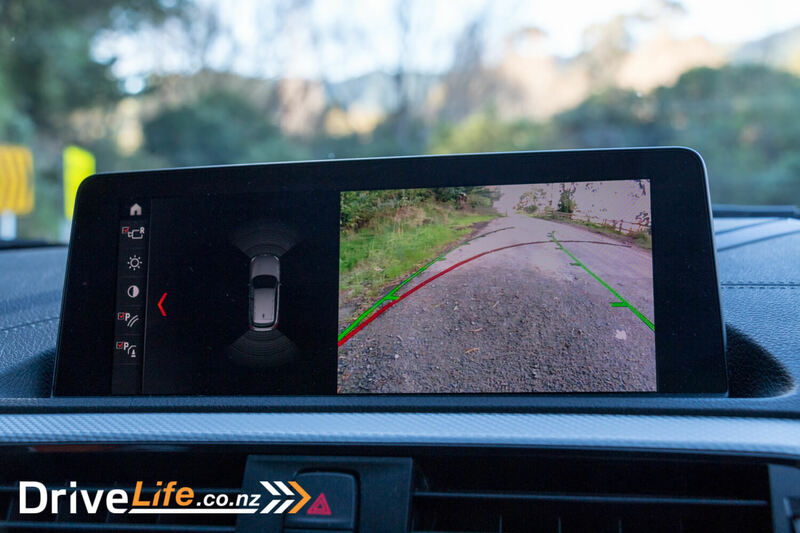 The screen is high resolution, which becomes even more apparent when using the reversing camera as it’s noticeably clearer than a lot of other cars. There are lots of displays available and the home screen can be customised to your liking, which is a nice feature. 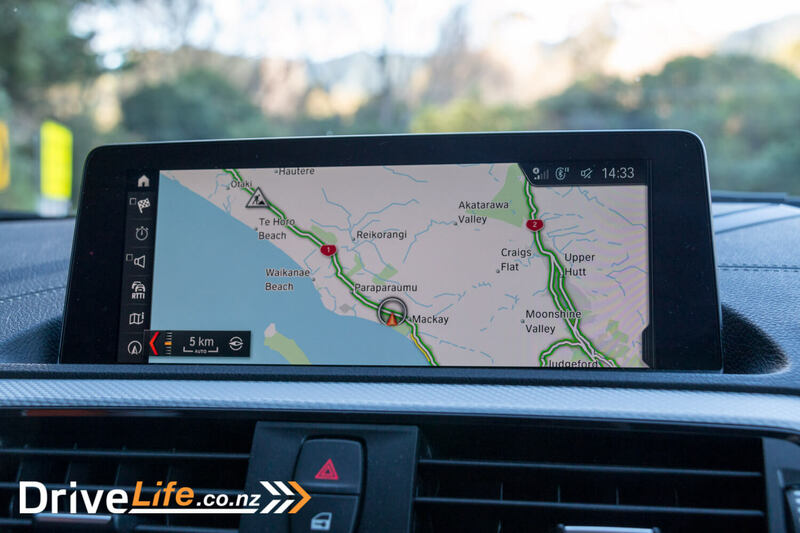 It can be split between, say satnav and music, or display one large satnav map, which is 3D with textured models for landmarks. If you’re feeling sporty you can have large power and torque gauges. If not there’s a display showing where the power is going and whether you’re charging the battery using regenerative braking or even a 3D graph of your recent fuel efficiency. There’s a lot in there, most of which you’ll likely use a few times when setting up the car, then forget about. The Harman Kardon stereo is excellent, with great bass and clear sound. 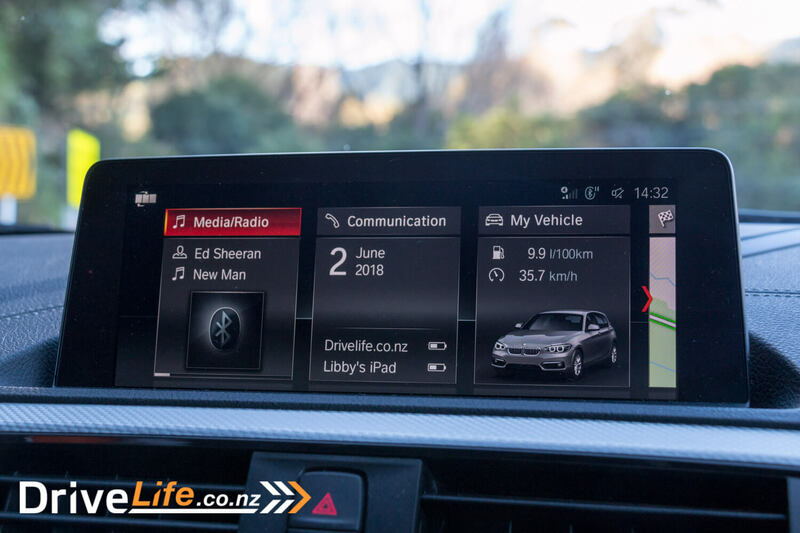 Playing via Bluetooth is seamless and the car re-connects to the phone quickly and automatically unlike a lot of cars. The M-badged steering wheel is quite fat, which I like, and very comfortable to hold, with nicely shaped grips. Unlike a lot of modern cars there aren’t that many buttons on the wheel, but there’s everything you need to control the stereo, phone and cruise control. The only thing I’m not that keen on is the thumb wheel that is used to skip audio tracks, as it takes two presses to get to next or previous track. You can always use the buttons in the centre console instead. 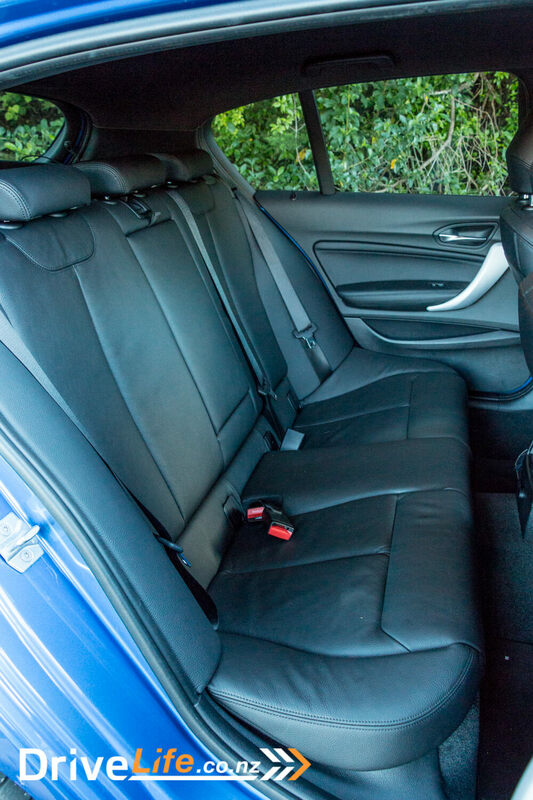 The seats are very good, trimmed in black leather, with plenty of adjustability including a pull-out thigh extension for taller drivers. Surprisingly they’re manually adjusted, unusual in a car at this price. 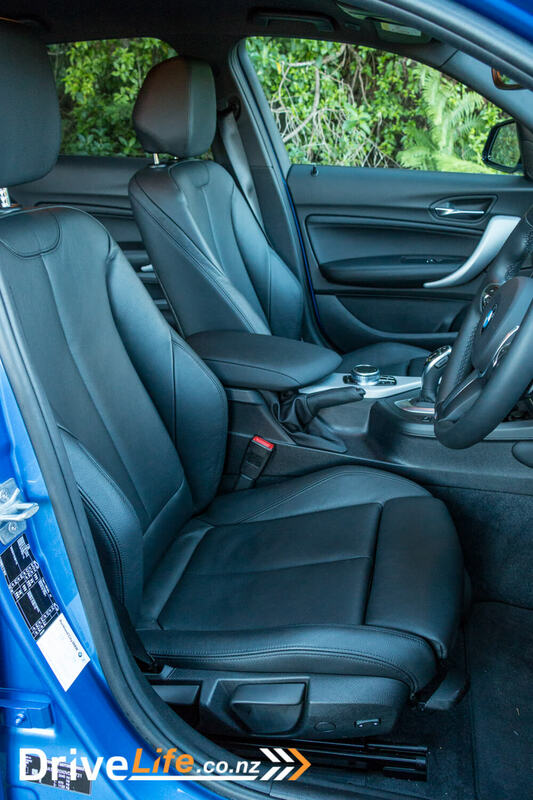 There are electrics for the lumbar adjustment and the side bolsters, which can be adjusted from armchair to side-hugging race seat depending on your driving mood. 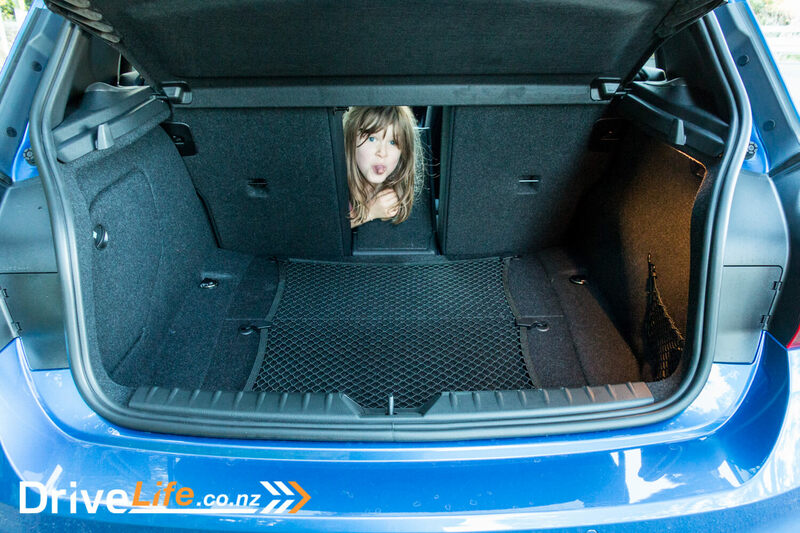 The rears are also comfortable, with decent leg room for a car of this size. Your passengers won’t be stretching their legs much and the centre seat isn’t great for a long journey, but two adults would certainly be comfortable. 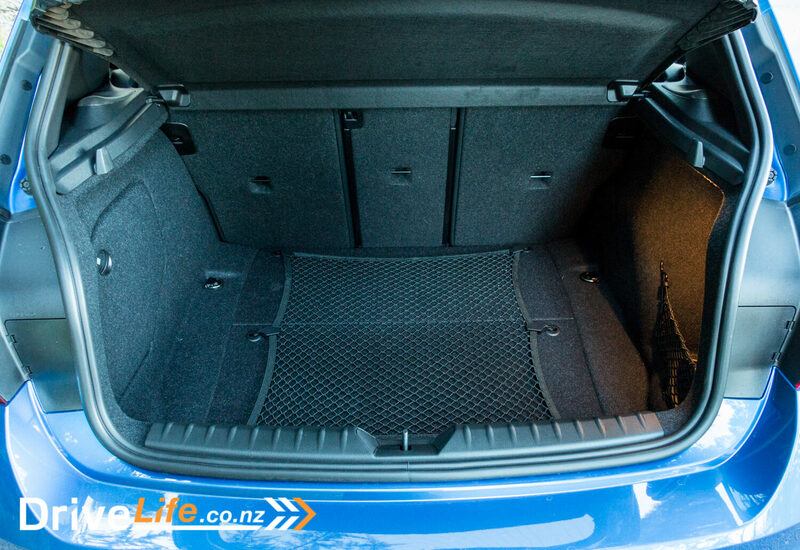 The boot is a reasonable 360 litres, and the rear seat backs fold down flat and are split 40/20/40 to give you maximum flexibility to carry things around. There are a couple of bag hooks at the sides, a cargo net and a netted side partition, so you can stash your shopping safely. 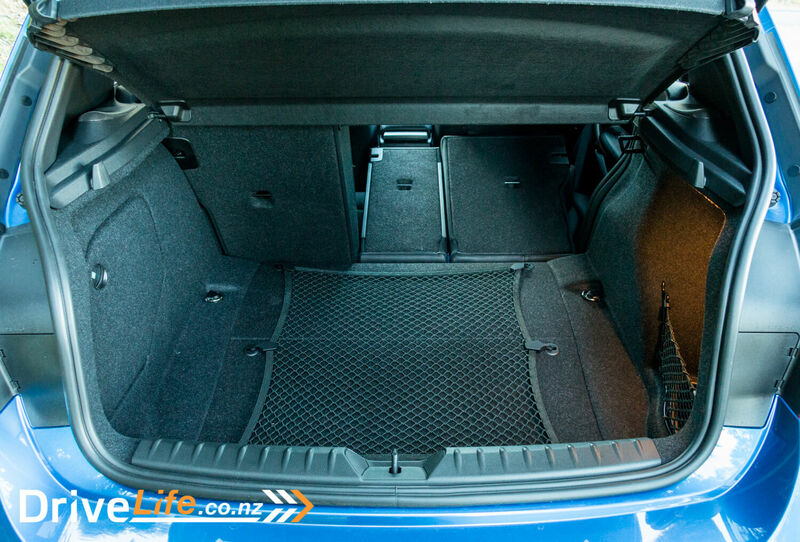 Under the boot floor you’ll find the battery and fuse box – part of BMW’s clever packaging to give the car a 50/50 weight distribution. BMW use run-flat tyres so there’s no need for a spare. 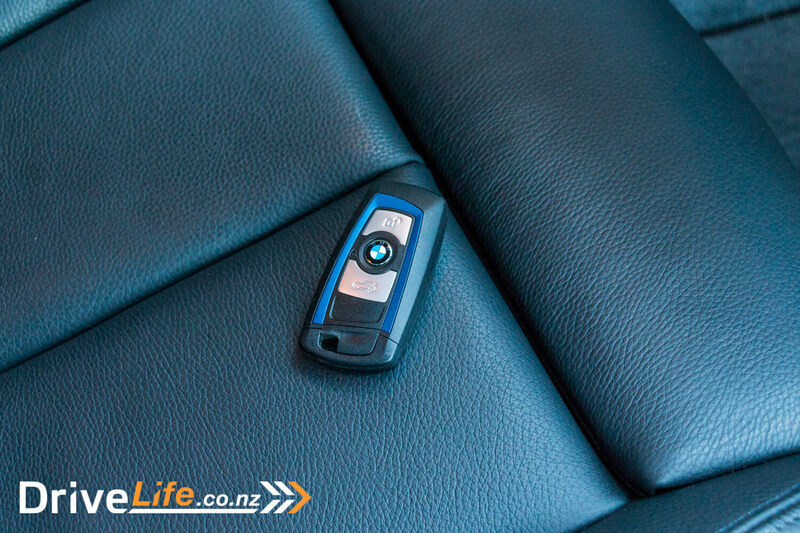 When I went to pick up the M140i I was handed the key fob and I just stuck it in my pocket and walked up to the car. I pulled the handle, expecting it to unlock, and ended up having to fumble around, find the key and press it to open the car. For some reason BMW have given this car keyless start, but not keyless entry. This was very quickly forgotten when I pressed the engine start button and heard that turbo straight-six fire up. It’s quite a subtle sound, but a good one. It was raining hard, and in these conditions I soon learned how eager the M140i is to spin its rear wheels in first gear. Even with 245 profile Pirelli P-Zero rear tyres you have to be pretty gentle on the throttle from a standstill. There’s no fishtailing or unruly behaviour but the traction control will kick in quickly, cut power and sort things out for you. You can switch the traction control off of course if you’re so inclined, but it’s not something I’d do on the public road, or in the wet. In the dry it’s a different story, the car leaps off the line with much enthusiasm, hitting 100kph in a rather invigorating 4.6 seconds. The 8-speed Steptronic transmission is one of the best autos I’ve used in any car, with super-fast changes. In fact the quoted 0-100 figure is a little slower for the manual car. There are paddle shifters behind the steering wheel, but I never really found the need to use them. With so many gears available the car usually has the right one when you need it. 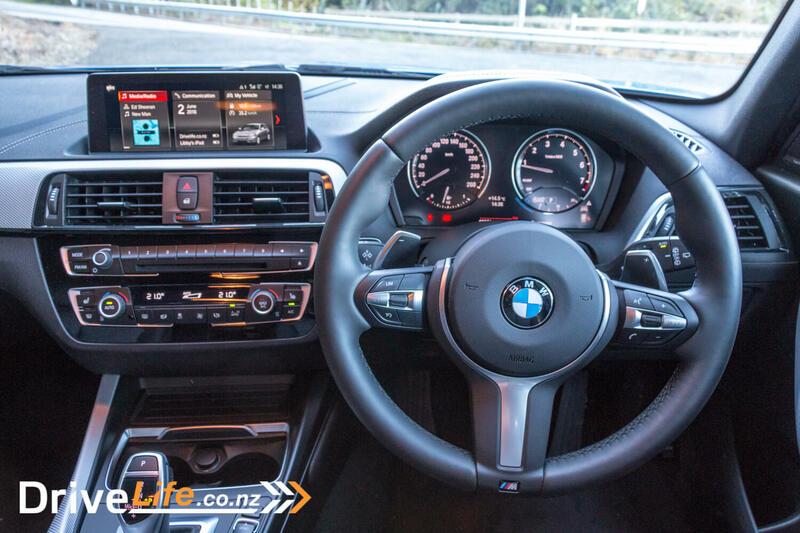 There are the usual three BMW driving modes – comfort, Eco Pro and Sport. Eco Pro is actually okay to pootle around in when driving normally, giving smoother acceleration and a softer throttle. It’s not as annoying as some eco modes, and you have the full power available if needed by pressing the throttle harder to kick down. Comfort is the default mode and gives you a little more of the power and responsiveness. But Sport mode is where the fun really starts. Get the M140i out on a quiet back road, flick into Sport and the revs kick up a little and you start to really hear the engine’s growl. Gears are held onto for longer when accelerating, and if you flick the shifter over to manual mode it won’t upshift for you at the red line, you’re in full control. As it should be. Cornering is tight and controlled, with minimal body roll, giving you lots of confidence to press on. The suspension is quite firm, but the ride is good despite it being lowered 10mm over the standard 1-Series cars and riding on 19” alloys. The brakes are excellent, pulling the car up swiftly and safely. 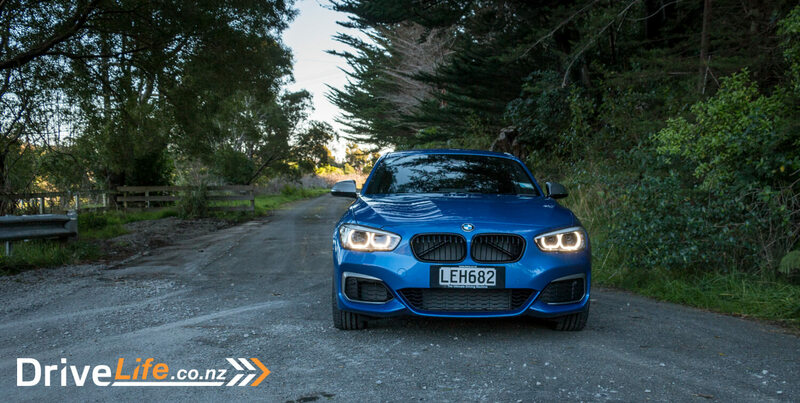 Really drive it, and the M140i eats up the road. You find yourself driving more and more quickly without even realising it, as your confidence builds in the car’s abilities. Glance down at the instruments and you’re doing quite a speed. It’s easy to find yourself over the limit before you know it. The acceleration is addictive, combined with the noise of the 3.0l six, with a hint of turbo whistle, and a glorious pop-pop as it changes gear. This is a car that will leave you grinning. The quoted fuel consumption is a surprisingly low – for a 3-litre engine – 7.8l/100km. I managed an average of 9.5, with a combination of commuting, motorway driving and some back-road fun. 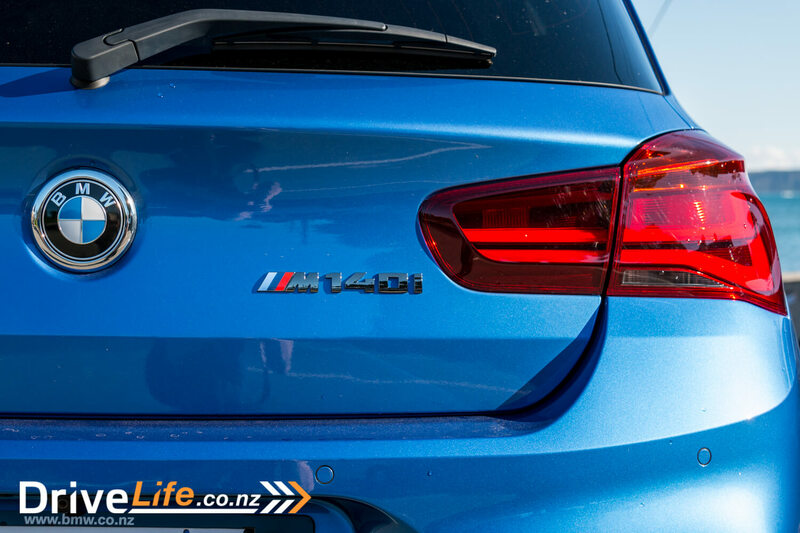 Other than the performance aspect, what else does the M140i have to offer? Well it’s practical, comfortable, and has good equipment levels. There are a few notable exceptions which I would have liked to have seen. The big one is radar cruise, which is something that makes journeys in traffic so much less tiring, and I think should be standard on a $70k car. 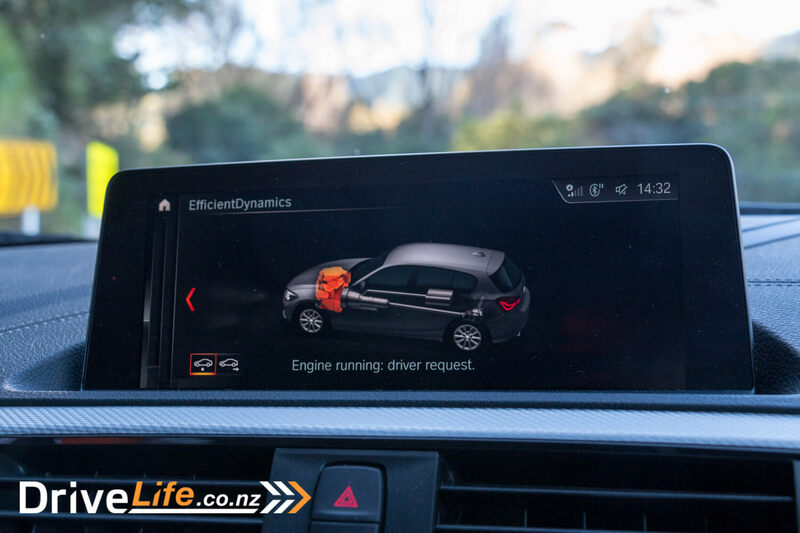 A heads-up display would also have been good, given the performance this car offers. And keyless entry. One included feature that stands out is the LED headlights, which really are excellent and have auto high beam. 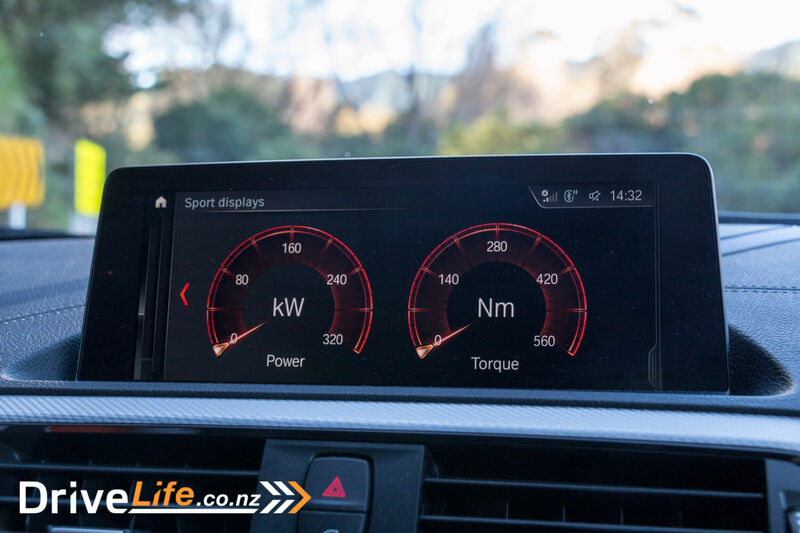 In most day to day driving, the capabilities of the M140i are rarely used, and you sometimes start to wonder if all that power is really necessary. 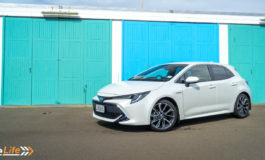 Then you get the chance to open it up on an on-ramp or a quick overtake, and realise that yes, you really do need 250kW in a small rear-wheel drive hatchback. 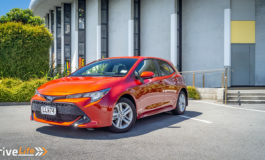 Added to that it’s comfortable, practical, has a good spec with a couple of notable omissions, and what you have is a great everyday car that has truly impressive performance when you want it. Warranty 5 years or 100,000 kilometres, whichever is reached first. Previous article 2018 Volvo XC40 T5 R-Design - Car Review - A different View of the compact SUV?